The history of IACEE and its World Conferences on Continuing Engineering Education begins in 1973, when UNESCO formed the Working Group on Continuing Education of Engineers and Technicians (WGCEET). Subsequently, UNESCO formed the Working Group on Engineering Education/Industry Cooperation in 1974. John Klus, Joe Biedenbach and Charles Sener “invented” the 1st World Conference on Continuing Engineering Education, which was held in Mexico City during 1979 and a series of triennial World Conferences followed. In 1987 the UNESCO Working Group on Continuing Education of Engineers and Technicians (WGCEET) presented a plan for an international association to UNESCO. The idea received strong support from UNESCO and its International Working Groups on Continuing Education of Engineers and Technicians, and on Engineering Education and Industry Cooperation. From the very start, several international organizations within the field of engineering education actively promoted the new association. The IACEE charter was signed during the opening session of the 4th World Conference on Continuing Engineering Education on May 17, 1989 in Beijing, China. 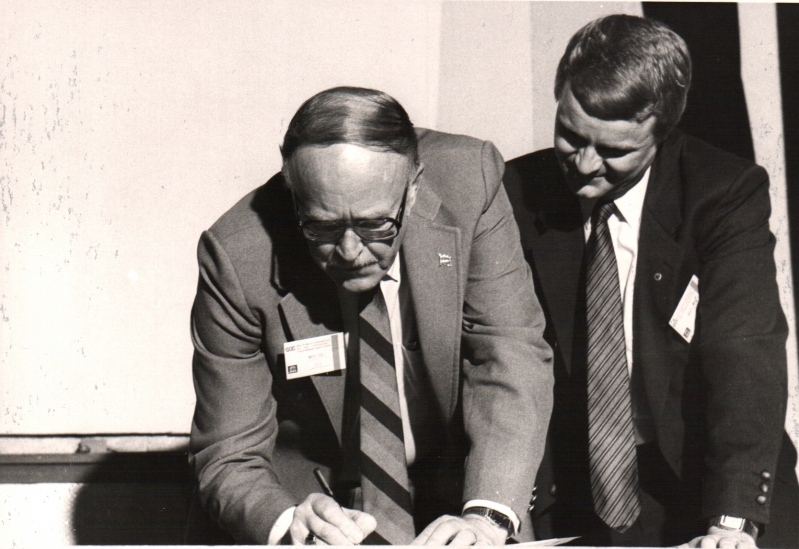 Below is a picture of Glen Martin and Markku Markula are signing the charter. Helsinki University of Technology was the first administrative home for IACEE. Lahti University of Applied Sciences in Finland became the next headquarters from 2001 - 2002. In 2002, the headquarters were moved to The American Society of Engineering Education and since 2010, the Georgia Institute of Technology in Atlanta, Georgia, USA is the administrative home of IACEE.